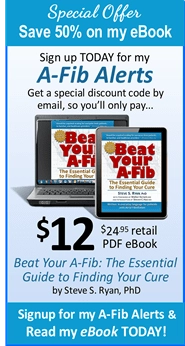 Do you write about Atrial Fibrillation? 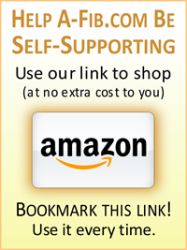 Got a newsletter or blog? 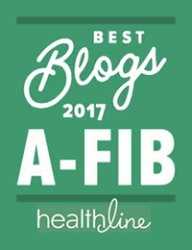 Want to reprint or quote from one of our A-Fib.com articles? You no longer have to write and ask permission. The content on this website is now licensed under a Creative Commons Attribution-ShareAlike 4.0 International License. 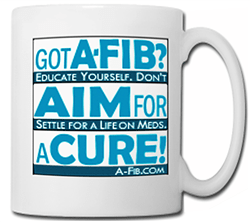 © Steve S. Ryan, A-Fib.com. Some Rights Reserved. 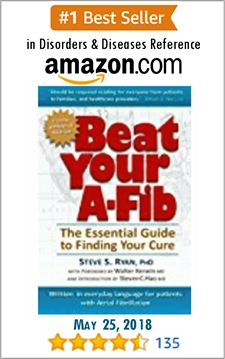 The Creative Commons Attribution Share-Alike license allows re-distribution and re-use of A-Fib.com licensed content on the conditions that Steve S. Ryan and A-Fib.com are appropriately credited, a link is provided to A-Fib.com and that any derivative work is made available under “the same, similar or a compatible license”. 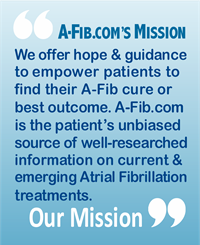 Help spread the word: A-Fib can be cured!